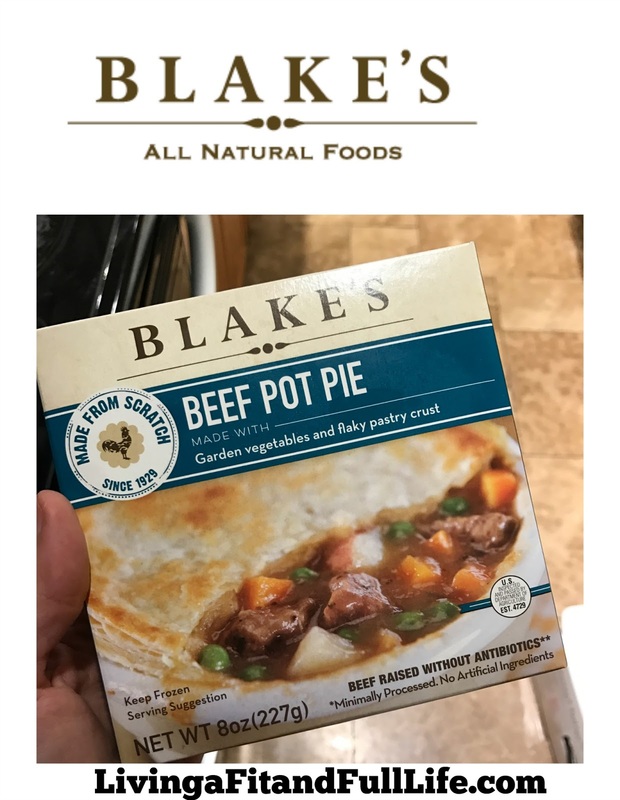 Living a Fit and Full Life: Blake's All Natural Foods, Turkey & Beef Pot Pies are the Perfect Comfort Food this Winter! Blake's All Natural Foods, Turkey & Beef Pot Pies are the Perfect Comfort Food this Winter! Something special happens on family farms: You grow up with no clear line between work and home. That’s the way it was when Clara Blake started the farm here in 1929, and that’s the way it is today with our daughters, Blake and Lucy. At home — when Amy and I see them off to school, when relatives come over, around the dinner table — they hear us talking about our business; they hear us working out problems; they hear us making decisions for the right reasons. They visit their dad at work and see him working with their grandparents, in an office converted from an old family room in the 1700s farmhouse that has anchored this farm property for 75 years. They’re learning about food, of course, and maybe to worry about the weather, but also something deeper. Something about values and the importance of family. Some food companies are started by chefs, and some food companies are started by investors. Our roots are closer to working people, perhaps a little deeper in the soil. And though farming is no longer a central part of our business, that farmer’s sense of humility and common sense guide us still. There’s a straight line through. vegetables, potatoes and a flaky pie crust. Blake’s Turkey and Beef Pot Pies are the perfect comfort food when the weather outside is a bit nippy! I don't know about you but when it gets cold out, all I want to eat is warm foods. My family and I love pot pies and we've tried many different varieties but haven't found any real winners. Blake’s Turkey and Beef Pot Pies are real winners in my book. Not only are they delicious but they're made from scratch in small batches, and use only the finest organic and all-natural ingredients. Another wonderful thing about them is that my kids actually like them. My kids ate every last bite, even the crust. Blake’s Turkey and Beef Pot Pies are extremely flavorful and have just the right amount of crust to go along with each bite. Blake’s Turkey and Beef Pot Pies are absolutely delicious and I highly recommend you all try them! Click HERE to find a store near you that sells Blake's All Natural Foods! Click HERE to learn more about Blake's All Natural Foods! Follow Blake's All Natural Foods on social media!